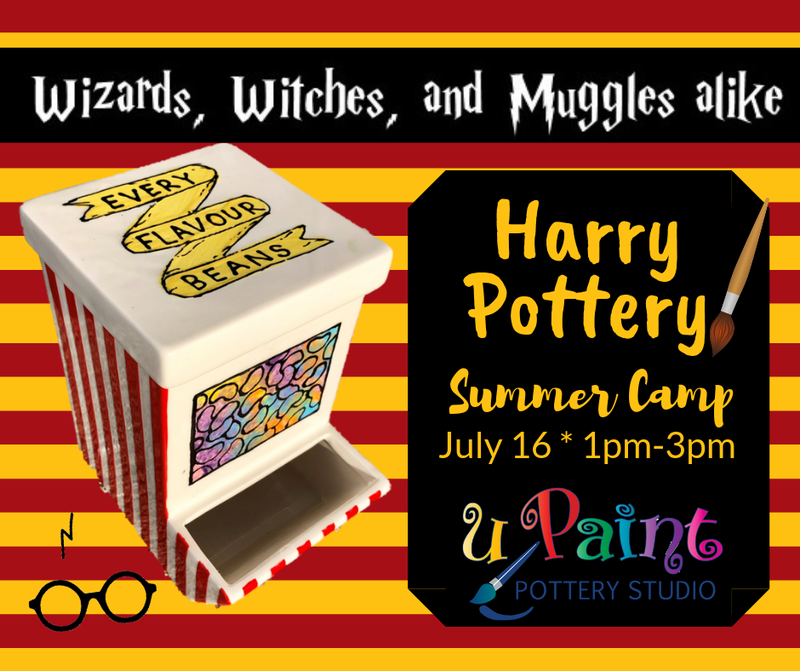 Calling all Potter fans! Wizardly fun includes painting a jellybean dispenser just like the box. Don’t pick the vomit one! Yuck!! 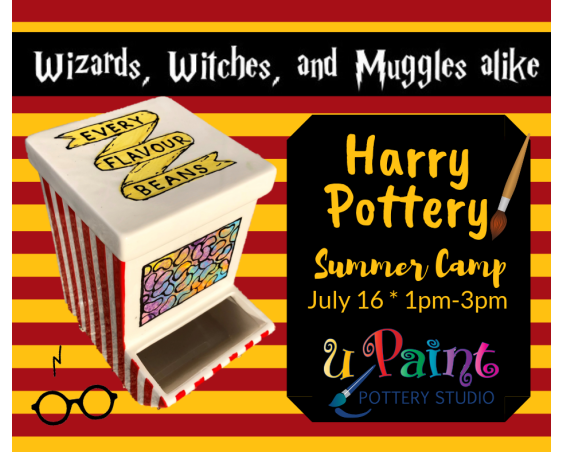 Campers will also make a clay wand and enjoy butter beer. uPaint summer camp is recommended for children 5 years and older. This is just 1 of 18 fantastic days of uPaint Summer Camp. Sign up for the number of days/projects you would like to attend and only pay for those days. . Register today online or by calling the studio location of choice.